Is Disgaea 5 One of the Top 50 Disgaea Games? | NIS America, Inc.
Home / Blog / Is Disgaea 5 One of the Top 50 Disgaea Games? It’s that time again, when a new Disgaea comes out, and one must ponder whether this new one will make the Top 50 Disgaea games list. 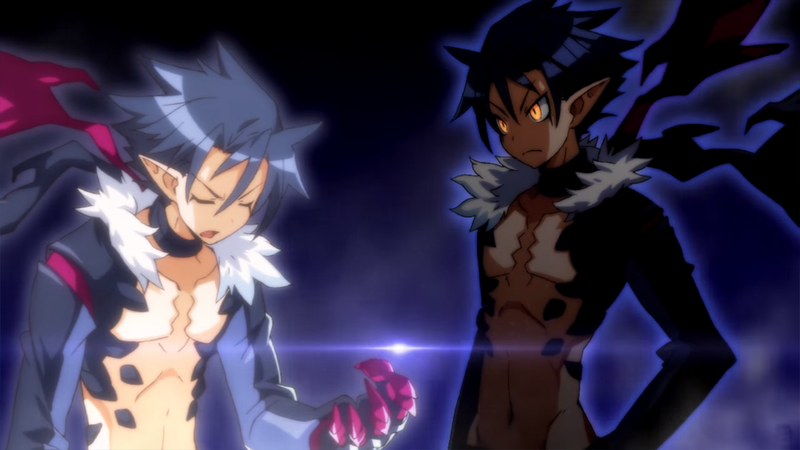 As the main character, Killia has taken it upon himself to be the advocate for Disgaea 5: Alliance of Vengeance. Killia: You know, Disgaea 5 really is the most advanced game in the series, with tons of new systems to customize your characters and make them more powerful than ever. The Other Killia: Hmph, who needs character customization options when all you need to do is unleash me and I can destroy everything? Killia: ...Alright, well, it also takes advantage of the PS4’s power. It has the largest stages ever, and you can battle up to a hundred enemies on a single map! The Other Killia: Now you’re talking. But, it doesn’t matter how many enemies I can kill at a time, since I’m going to kill everyone eventually. Killia: You’re not gonna kill anyone, since I’m never gonna release you! Anyway, the cast is pretty great, with a good mix of personalities interacting with each other. The Other Killia: What’s going on here? Are you friends with them now? Don’t you remember what happened last time? Killia: Look, whatever you have to say doesn’t even matter. You know why? Because Disgaea 5 is only the sixth game in the series. Even if you count all of the ports and offshoots, that only comes to 14 games, so it has to be in the top 50! Well, that's certainly an interesting back and forth! And it's nice to see that they were able to come to a definitive conclusion between them! If you haven't checked out the title yet, then be sure to read Game Informer's review or head over to the game's official website to learn more!